It's looking fabulous over there! Merry Christmas Erica! Okay, those are the most beautiful pics EVER!!! Oh Erica, I wish you could keep your decorations up until I come to Calgary!!! Ooooh soo prrrrretty! I wish you, your mom, your boys and your dogs a very Merry Christmas. May you get all the nicest, shiniest, glamourous and most hansome goodies in 2012! Love the wreath! Is it a "live" one? Will have to take it to the florist for one next year. 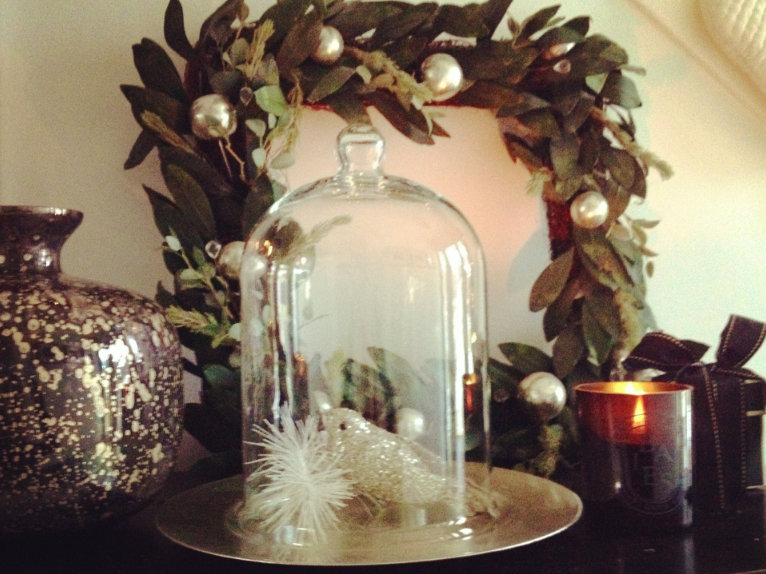 Loving the silver charger and the glass dome, and the unexpected ribbon! So much fun! merry christmas! love your garland and your sweet stockings.